A nine member’s Pax Earth team comprised of Pax Earth Japan (PEJ) dignitaries respected Mr. Masaya Arao (Advisor), Dr. Soko Aoki (President) and collaborators: Ms. Mineko Ikegami, Mr. Shinichi Tajima and Ms. Kiyoko Tajima and Pax Earth Nepal (PEN) President Mr. Sujan Koirala, Secretary Mr. Binod P. Mainali, Treasurer Mr. Bal Gopal Shrestha and Board Member Mr. Laxman B. Pahari had an inspection visit to Pax Earth’s educational mission sites (Shree Raktakali Primary School and Shree Kalika Primary School) in Kavrepalanchok, Nepal on November 4, 2012. During the visit, the Pax Earth team also managed to distribute a small amount of stationery to the poor and needy students of these two primary schools. The full report is provided below. As per the schedule, the Pax Earth members (Mr. Masaya Arao, Dr. Soko Aoki, Ms. Mineko Ikegami, Mr. Shinichi Tajima and Ms. Kiyoko Tajima from the PEJ and Mr. Sujan Koirala, Mr. Binod P. Mainali, Mr. Bal Gopal Shrestha and Mr. Laxman B. Pahari from the PEN) gathered at Radisson Hotel at 8:30am. But, due to vehicle inadequacy, the Pax team had to wait for more than 30 minutes. After managing two vehicles (one 4-wheel drive and one taxi), the Pax team headed for educational mission sites located in Kanpur VDC of Kavrepalanchok approximately 65Km east of Kathmandu. 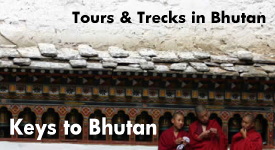 At 10:30am, the team stopped at Dhulikhel for the lunch. Along with Nepali friends, Ms. Ikegami and Ms. Tajima tasted Nepali meal (rice, lentils, variety of curries, chicken and pickles). 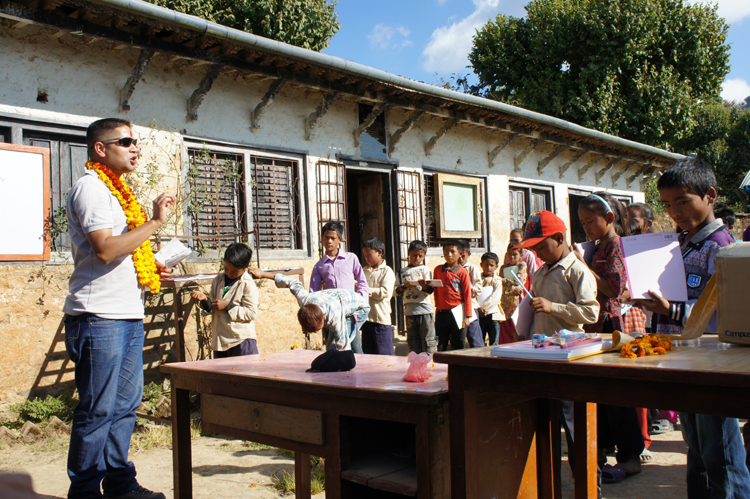 Right after the lunch, the Pax team left for Kot Timal where the Shree Raktakali Primary School is located. On the way, all the PEJ dignitaries especially respected Mr. Arao could enjoy a panoramic view of a beautiful Himalayan range. The team arrived at the Shree Raktakali Primary School at 1:30pm. All the Pax Earth members were cordially welcomed at the entrance by the Principal Hira Kaji Tamang and the lovely students. Senior most of the village Mr. Beni Bahadur Koirala (84 years), former Ward Chairman Buddhi Man Tamang, former SMC Chairman Arjun Bahadur Bhandari, former SMC Member Chakra Bahadur Lama, PTA Chairman Chhewang Lama, PTA Member Mr. Krishna Khadka and a large number of community people in addition to the teachers of the school were present on the occasion. PEN President Mr. Koirala and Secretary Mr. Mainali coordinated with the teachers to make the program short and sweet as per the advice of respected Mr. Arao. Without wasting any time, the representatives of the Shree Raktakali Primary School honoured each member of Pax Earth team with red tika and a garland. Then, Parents Teachers Association (PTA) Chairman Mr. Chhewang Jeet Lama formally welcomed dignitaries from the PEJ respected Mr. Arao, Dr. Aoki, Ms. Ikegami, Mr. Tajima and Ms. Tajima respectively in this program. 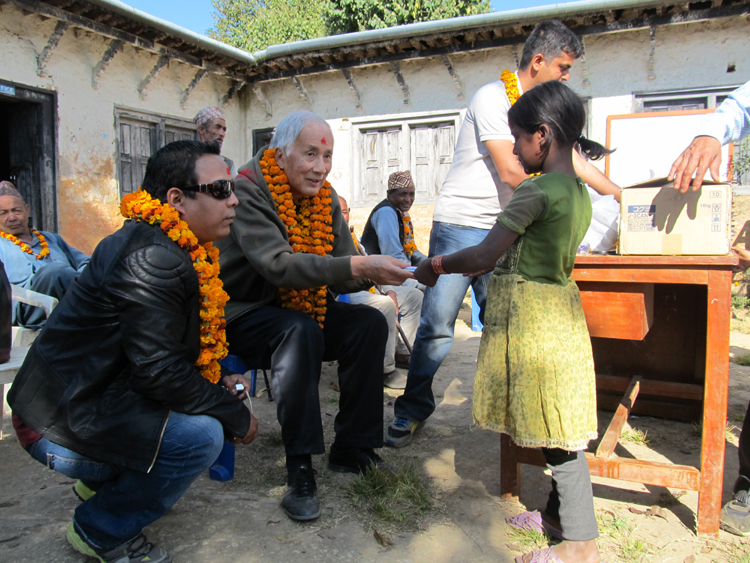 Similarly, he welcomed PEN President Mr. Koirala, Secretary Mr. Mainali, Treasurer Mr. Shrestha and Board Member Mr. Pahari. He also welcomed teachers, students, PTA members, former and present SMC members and community people in the program and wished for the successful execution of the program. He highly praised the Pax Earth for the contribution extended to the poor and deprived students of this school in their education, health and hygiene. After his welcome speech, the Pax team coordinated with the teachers to arrange a small formal stationery distribution program. As the Pax Earth had distributed the adequate stationery for the three and half months just a month back, only a few notebooks, pencils, erasers and sharpeners were distributed on the occasion. The notebooks were sponsored by Kokuyo Stationery while pencils and erasers were arranged by collaborators Ms. Ikegami, Mr. Tajima and Ms. Tajima. Respected Mr. Arao single-handedly managed to distribute the stationery to all the students one by one. Hats-off to his spirit even at the age of 80 plus! President Mr. Koirala delivering his special speech expressed his gratitude to the students who managed to come at the school even at the vacation. 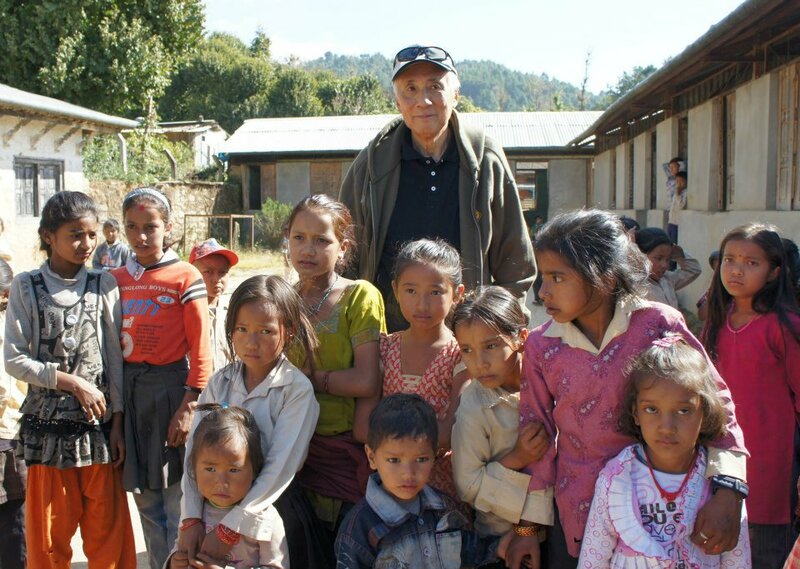 He shared his happiness in contributing in the education, health and hygiene of the students and the school. He was more than happy to see the preservation and protection of the trees planted in August 2012 and appreciated the effort of the school authority and community people. In his address, he also thanked respected Mr. Arao, Dr. Aoki and respected collaborators for coming a long way to this school and extending supports. He extended a sincere gratitude to Mr. Arao for his praiseworthy contribution and support in Pax Earth’s effort. He highly appreciated respected Mr. Arao for his enthusiasm and spirit for managing the distribution single-handedly. Finally, he thanked the teachers, parents, community members and the stakeholders for the cooperation in Pax Earth’s noble effort. Principal Mr. Hira Kaji Tamang extended vote of thanks. He felt privileged to welcome a high level team from Pax Earth in the school. He highly admired Pax Earth’s educational materials support program to the poor and needy students of the school and wished for the continuity of this support in future as well. 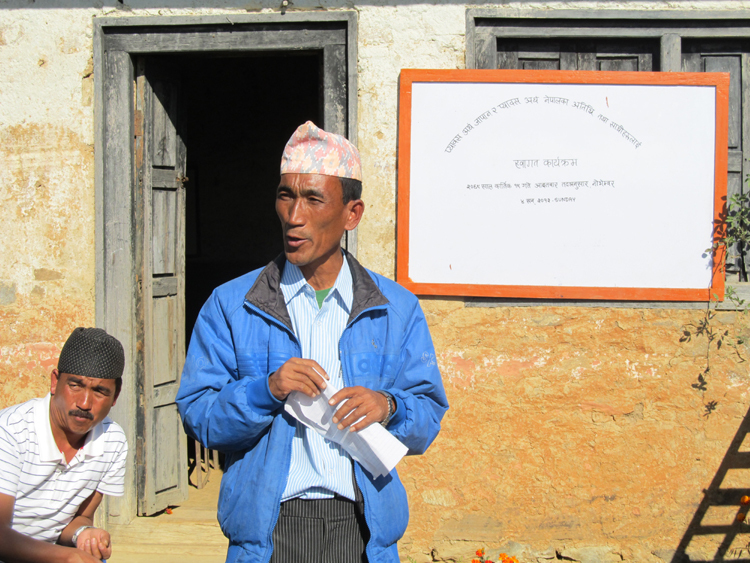 After his thanksgiving, Principal Mr. Tamang adjourned the distribution program. The Pax Earth team inspected school buildings, classrooms, library, toilet and plantation area after the distribution. The Pax Earth team could take few group photos before the departure. The students left their homes after bidding farewell to the Pax team. The school authority served teas, biscuits, yoghurt and beaten rice to the Pax team. The team left for Shree Kalika Primary School at 3:15pm. At 4.00am, the Pax team arrived at Shree Kalika Primary School, Kanpur. Upon arrival, teacher Miss Sujata Mainali warmly welcomed the Pax team members. 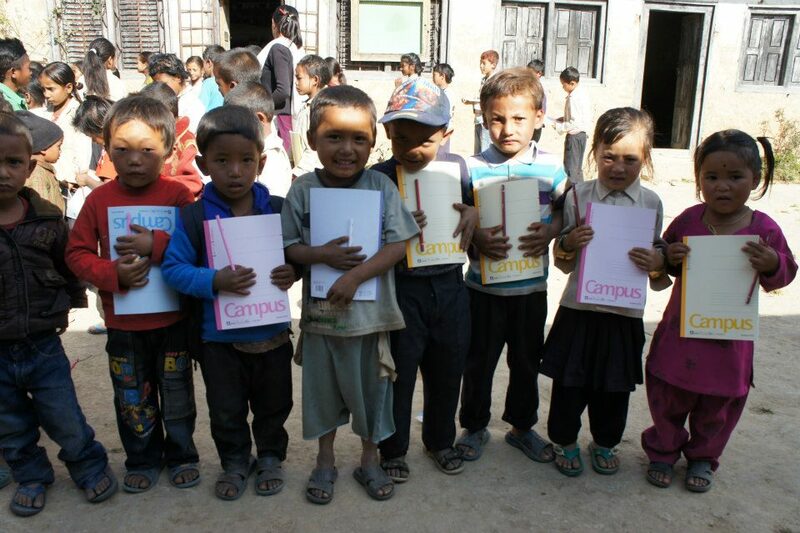 Without any formality, the team coordinated with Miss Mainali and arranged a very short and sweet distribution program. 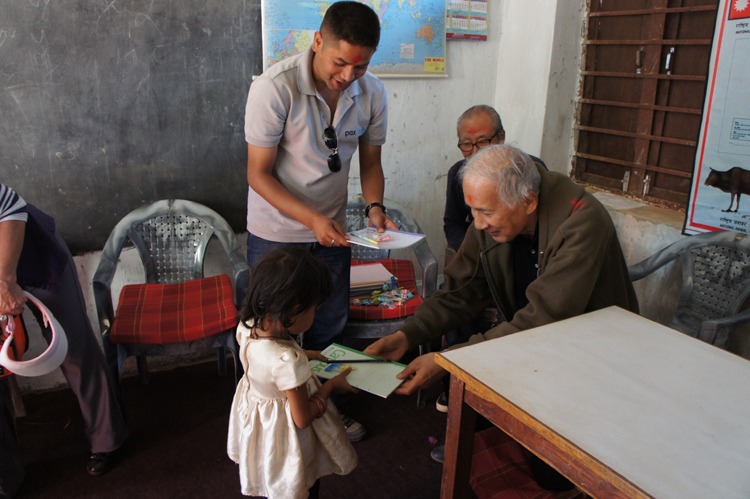 Respected Mr. Arao distributed the Kokuyo notebooks, pencils and erasers to each and every student of this school too. The students also enjoyed toffees and candies. Miss Mainali and students bid farewell to the Pax team after the distribution. The team could spend less than half an hour at the home of PEN Secretary Mr. Mainali where they could meet their parents and enjoy a cup of tea and local snacks. At 4:30pm the team left for Kathmandu. The team arrived at Kathmandu at 7:00pm and directly went to Hotel Yak & Yeti where PEN Board had arranged a dinner in the honour of respected Mr. Arao, Dr. Aoki and other dignitaries. PEN Vice President Shreebatsa Basnyat, Joint Secretary Guna Raj Pyakurel and Joint Treasurer Dipendra Dangol joined the dinner at the hotel. The PEN Board offered a set of exquisite Nepali cuisine to the PEJ dignitaries and they could also enjoy Nepali cultural dances. In this way, the mission of the day ended after enjoying Nepali taste at the Hotel Yak & Yeti. The Pax Earth is indebted to the PEJ Advisor respected Mr. Masaya Arao for managing his time to visit Nepal and have a courtesy visit to our educational mission sites in Kavrepalanchok. The Pax Earth is honoured to have him as our guardian. We are really happy to know that the PEJ dignitaries especially respected Mr. Arao was happy to visit our project area to get the deeper understanding of the actual society and also the panoramic view of a beautiful Himalayan range on the way. We are equally thankful to the PEJ President Dr. Soko Aoki for convincing respected Mr. Arao and collaborators to visit Nepal as well as managing his own time despite his pretty busy schedule. We are also grateful to our collaborators Ms. Mineko Ikegami, Mr. Shinichi Tajima and Ms. Kiyoko Tajima for managing their time to visit Nepal and our project sites. The Pax Earth extends a sincere gratitude to the students and teachers of both the schools who managed to come at the program despite their vacation. The Pax Earth is equally thankful to PEN President Mr. Sujan Koirala, Secretary Mr. Binod P. Mainali, Treasurer Mr. Bal Gopal Shrestha and Board Member Mr. Laxman B. Pahari for offering a valuable time to the PEJ dignitaries during the whole trip. The both the drivers also deserve a special thank for offering a comfortable traveling throughout the day.